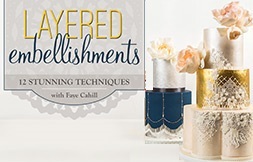 CALLING ALL CAKE BAKERS! 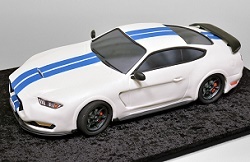 The MS Society is hosting a fundraising drive, “Cake Break”, for the month of May. To join in the campaign to support MS sufferers and MS research (MS is an incurable, life long illness: for more info see below), bakers are asked to a host an afternoon tea, a “coffee and cake” elevenses or a cake break of any kind to raise funds. 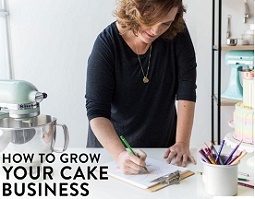 So why not try out a new receipe or cake design you’ve been dying to try for ages and ask your neighbours or friends around or get your work colleagues together at 11. With a small donation from each, we can together raise a significant sum to help those with this debilitating illness. 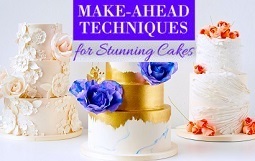 To take part, log on to MS Cake Break to register and you’ll receive a registration pack with tips and advice with some little extras including posters, invitations and party decorations. 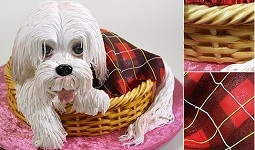 You’ll also find lots of recipes here on the Cake Break website, as well as some more unusual ones on our own recipe page here including Australian white chocolate mud cake, Amaretto booze cake and pistachio and rosewater cake. 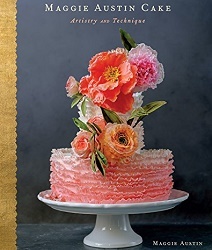 Now that you have all your recipes, all you have to do is to decide how to decorate your fabulous “Cake Break” cake – and that’s where Cake Geek comes in! 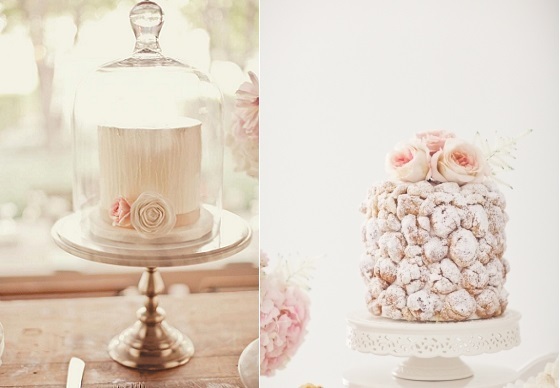 Check out the amazing selection of afternoon tea cakes below and let your imagination run away with itself for Cake Break 2014! 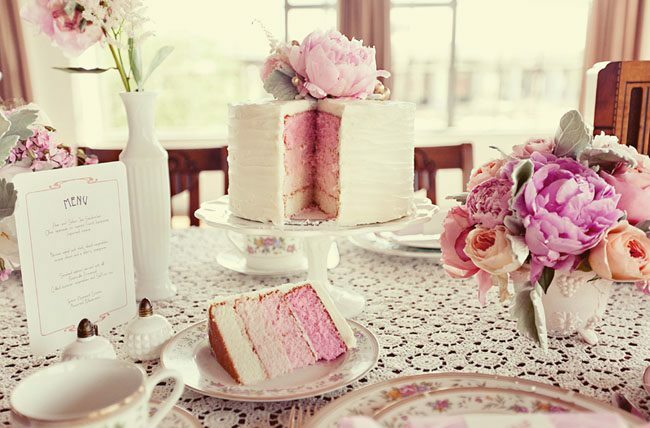 Our feature cake above is a super on-trend ombre cake in fabulous pink topped with vintage pink peony by The Layered Bake Shop – a marvellous centrepiece for an afternoon tea party layered with strawberry buttercream. 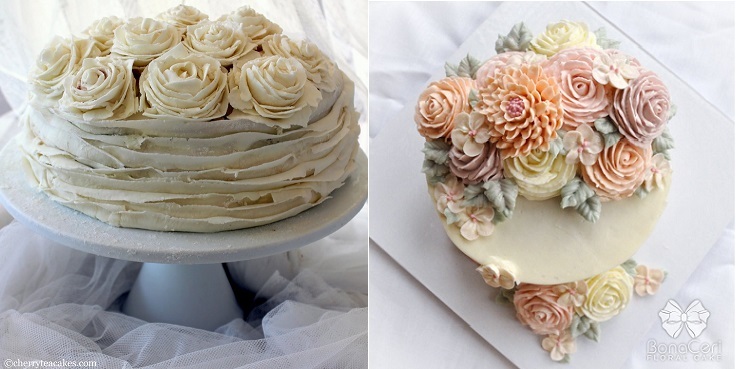 Cherry Tea Cakes have created the spectacular buttercream rose cake below left with layers of piped buttercream ruffles for a beautiful piece of cake art. 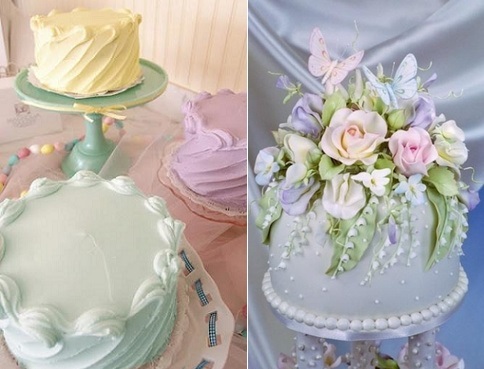 To the right, a marvelous display of piped buttercream flowers in soft pastel shades for a chic and elegant afternoon tea cake from Bona Ceri. 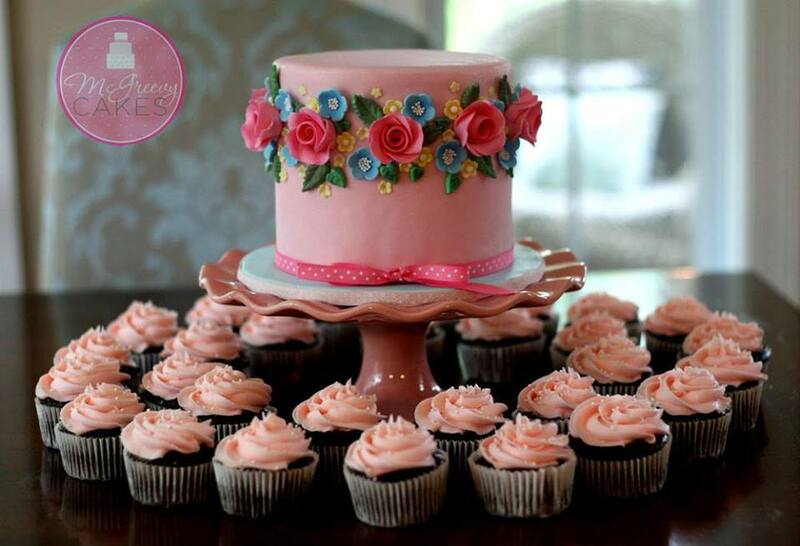 You’ll find a tutorial here how to pipe buttercream roses from the fabulous Juniper Cakery. 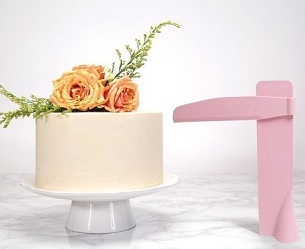 New Yorks’ famed Magnolia Bakery use the back of a dessert spoon to mark a diagonal pattern in their buttercream, leaving a gentle peak at the top edge of the cake for a pretty and clever cake decorating idea. 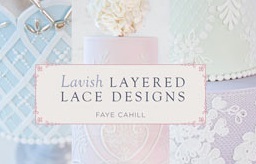 Different shades of pastels and pretty cake stands make for an eye catching display for any afternoon tea get together. 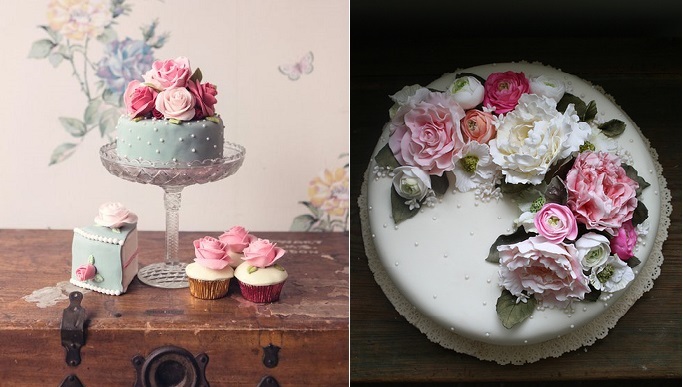 On the right, a spectacular display of sugar floristry, artfully arranged for an exquisite presentation of cake art. 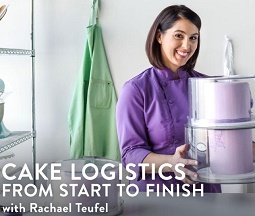 (Image via Indulgy). 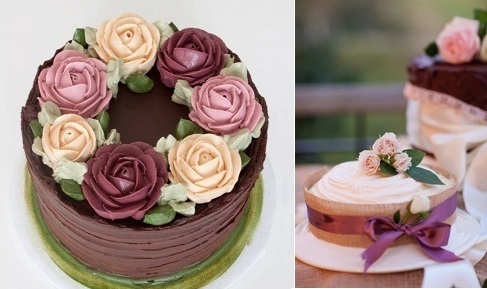 Two more old style afternoon tea cakes below by Dainty Delights Inc (below left) and from Divine Baking.com (below right). 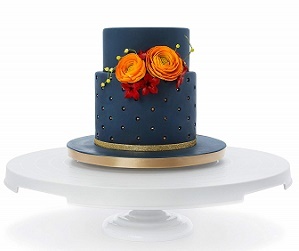 A sumptuous chocolate cake with vintage piped roses by the wonderful Miso Bakes below left. 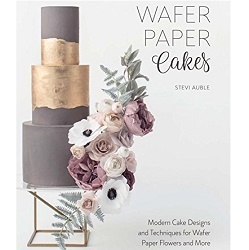 Below right is a beautiful rustic cake decorating idea using a band of brown paper wrapped around a simple buttercreamed cake, tied with ribbon and topped with a small posy of flowers – so simple and very effective. 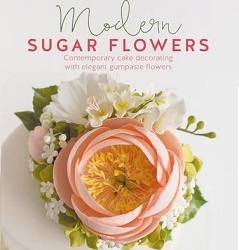 (Image via Pinterest). 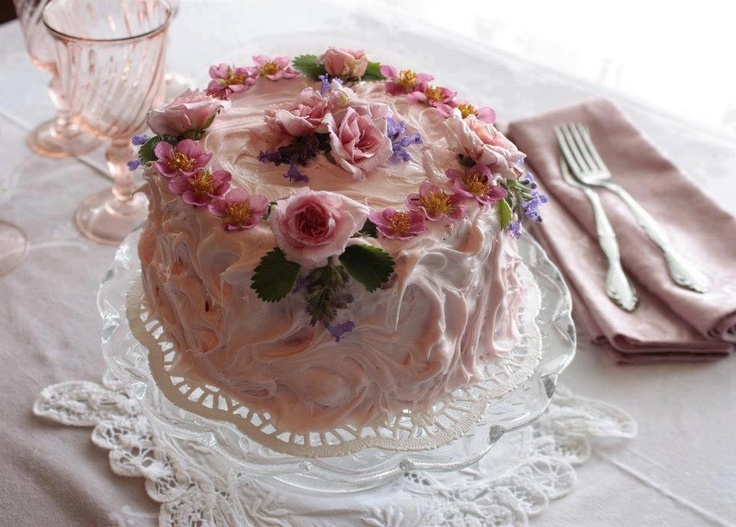 A wonderful shabby chic style of cake decorating with fresh flowrs and rustic buttercream from Divine-Baking.com – a fabulous cake decorating idea to adorn an afternoon tea table. 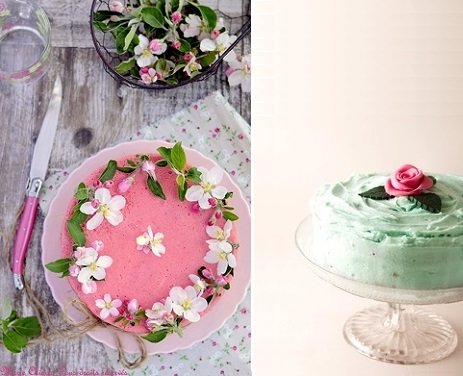 Below, an exquisite berry cheesecake decorated with fresh apple blossoms for a beautiful summer dessert (via The Natural Wedding Co.) and on the right, a buttercream cake in a pretty pastel shade of mint with a hot pink floral centre (via Objetivo Cupcake). 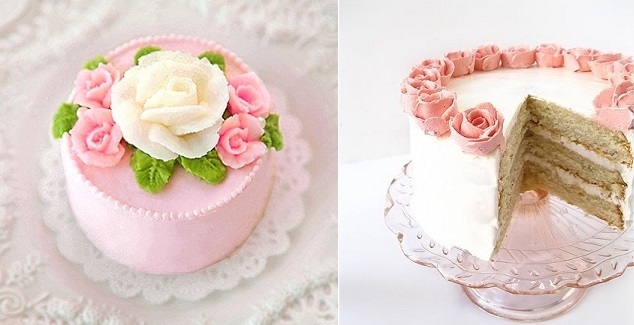 Pale blue icing with polka dots and pink roses makes a beautiful afternoon tea cake decoration below left (image via Pinterest) and on the right, an exquisite floral cake with delicate white on white polka dots by Amy Swann Cakes. 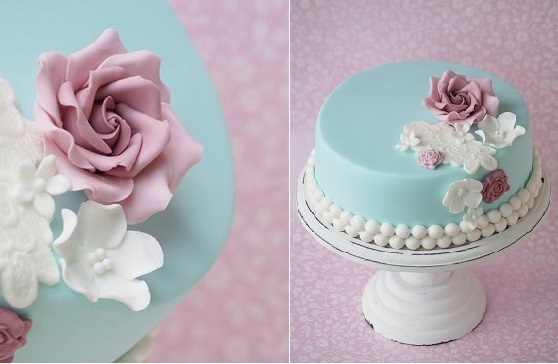 More vintage blue and pinks in this elegant afternoon tea cake by Cakes by Jantine, The Netherlands. 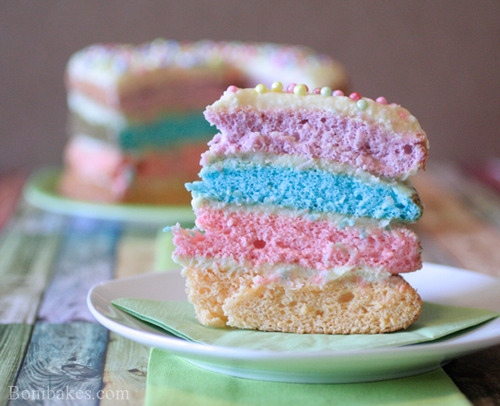 A pretty pastel rainbow cake from Irish blogger, Boni Bakes. 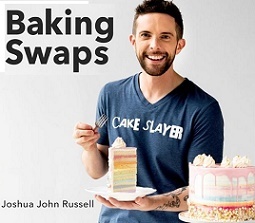 You’ll find Boni’s receipe here: rainbow cake receipe. MS (multiple sclerosis) is a debilitating disorder of the nervous system which causes neuropathic pain, weakness of the limbs, severe fatigue and loss of body functions, significantly impairing the quality of life of sufferers. It’s a life-long incurable illness that usually manifests in late teens/twenties/early thirties. Multiple sclerosis is an auto-immune illness (often triggered by a virus such as glandular fever) in which the body’s own immune system attacks the nervous system leading to impaired body function. Symptoms of MS vary from sufferer to sufferer but can include eye pain, vision loss, weakness of the arms and legs, bladder and bowel dysfunction, muscle spasms, pain, vertigo and balance problems and disability. Symptoms can start out as mild at first with general symptoms such as fatigue, headaches, dizziness, eye pain, urinary symptoms (indeed MS can go undiagnosed for years) before the illness progresses. There is currently no cure for MS and funding is desperately needed to fund research to find a cure for this lifelong illness. 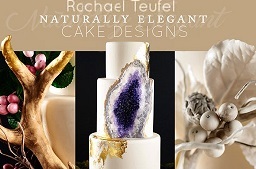 Cake Geek Magazine thanks you for your support.